District 29 – August 2013 – Lincoln Nebraska A.A. Opened at 6:30 pm. Traditions were read by: Stacey K.
DCM – Albert S. Back To Basics Stacey K.
Treasurer’s Report: Luke F. Not Present. Albert has been visiting the groups in District 29 asking for group contact people to receive information from Area 41 and GSO. He has also talking with people who may be interested it being a GSR. 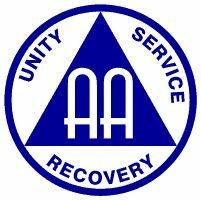 Any literature or service tool, developed in an Area 41 committee that affects AA as a whole, be approved by the Area 41 Committee. Any modification to already approved items would also require approval by the Area 41 Committee. Area 41 maintain officer and committee checking accounts at one bank. Back To Basics Group – Stacey K. ~ The meeting is going strong, as it has grown a little bit. This meeting is not too big to get lost in. The next Business meeting will be October 7th, and we will be holding elections for service positions. Closed at 7:08 pm. Next Meeting will be held September 10, 2013 at 28th and “S” streets 2nd floor at 6:30 pm.